The perfect chainring to match your SRAM crankset, the SRAM outer chainring is purpose built to stand up to the rigors of cyclocross. 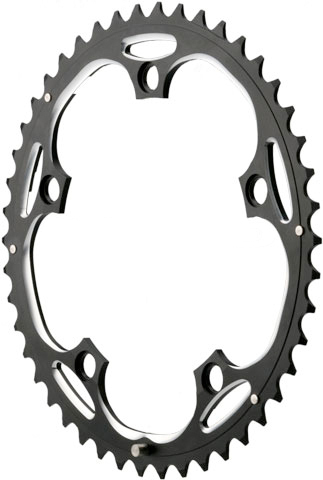 Ramped and pinned for quick, accurate shifting, the SRAM outer chainring is precision machined to be light weight and look sharp. 46T x 130mm BCD.